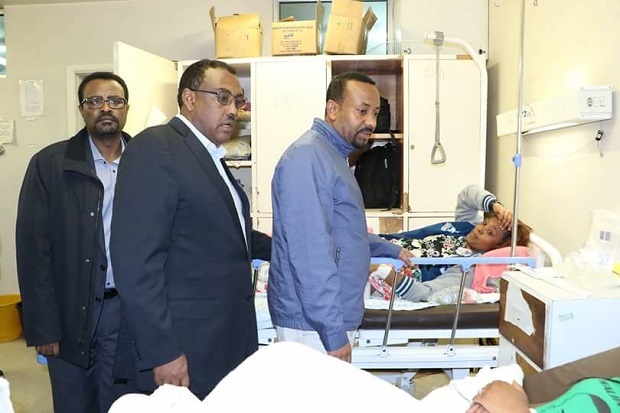 On Saturday 23 June, a man reportedly dressed in police uniform attempted to throw a grenade towards the speaker’s platform during a pro-government rally in the Ethiopian capital, Addis Ababa. Eyewitnesses report that rally attendees grabbed the would-be assassin, and the grenade exploded in his hand. At the time of writing, two are confirmed dead and around 156 wounded, of whom at least six are critical. 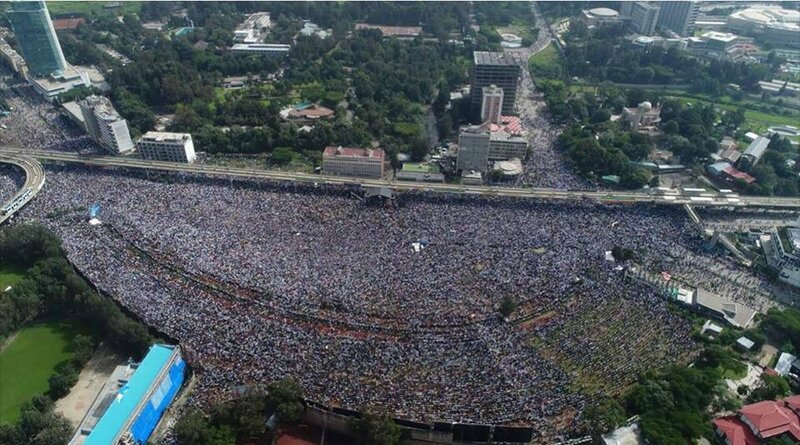 The rally in Meskel Square was a show of support for Ethiopia’s new Prime Minister Dr Abiy Ahmed Ali (41), and for his radical reform agenda. Elected in late March by the ruling Ethiopian People’s Revolutionary Democratic Front (EPRDF) four-party coalition, and sworn into office on 2 April, Dr Abiy has hit the ground running. But as the grenade attack indicates, not everyone is pleased. On 15 February, after years of escalating civil unrest and political paralysis, Ethiopia’s Prime Minister Hailemariam Desalegn submitted his resignation. Defense and Foreign Affairs Strategic Policy (D&FA, the magazine of the International Strategic Studies Association), Issue 3/2018, assessed the leadership change as having profound and global significance. The pro-Soviet Dergue (military junta) that seized power in 1974 systematically dismantled Ethiopian national identity in line with Marxist ideology. And as D&FA explains, it is a wound from which Ethiopia has never recovered, causing Ethiopia to remain internally focused and fractured. 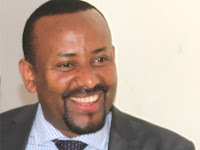 However, D&FA believes that, “Dr Abiy has the potential to reassert Ethiopian unity, in part because he is an Oromo leader” and the Oromo – the largest ethnic group in Ethiopia – has long been the most restive and opposed to the Tigrean control of government. D&FA makes it clear that the EPRDF coalition did not elect Dr Abiy because he is weak and pliable. To the contrary, when it comes to leadership, Dr Abiy is a rising star. He is a former soldier, having served as a colonel in intelligence and communications. He is also a technocrat and cyber warfare expert. He has a PhD (2017) in conflict resolution . . . and more. D&FA describes his career as “intense”, noting that Dr Abiy, despite his youth, has already served as Minister of Science and Technology (2016-2017), Director of the Federal Science and Technology Information Centre (2013-2016), and Director of the Federal Information Network Security Agency (2007-2010). Dr Abiy is married with three daughters. For a more detailed profile see: 10 quick facts about Ethiopia’s new prime minister, Abiy Ahmed, OPride.com. Prime Minister Abiy’s reforms are causing alarm among those invested in the status quo; consequently, resistance is to be expected. PM Abiy has also made moves to liberalise the economy, privatizing key state-run industries – among them Ethiopian Airlines and Ethio Telecom – industries in which many EPRDF elites are believed to be entrenched. Such big reforms carry big risks. Further to this, he has lifted the state of emergency and released thousands of political prisoners. One of PM Abiy’s most controversial moves – and the one that would be of the most interest to religious liberty observers and analysts – is his move to make peace with Eritrea. Between 1998 and 2000, an estimated 80,000 soldiers died fighting over the Ethiopian-Eritrea border. The conflict ended in December 2000 after a peace accord known as the Algiers Agreement was signed by both parties. 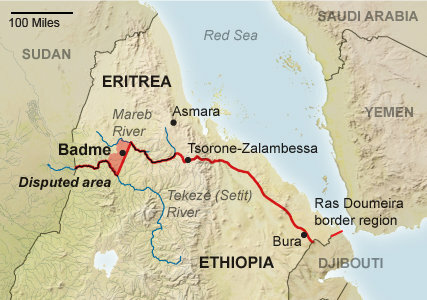 In 2002 the Eritrea-Ethiopia Boundary Commission (EEBC) issued its final and binding ruling on the border. 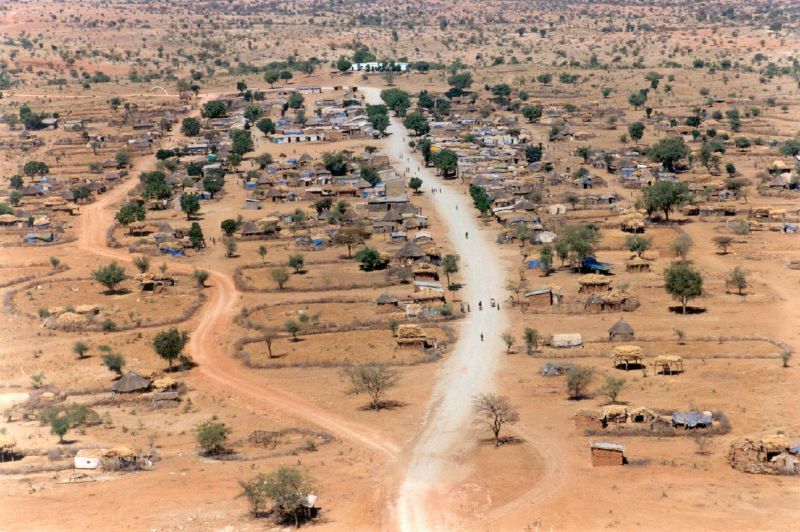 The EEBC awarded “Badme” – a town with a population of a little over 1500 – “and its environs” to Eritrea, and ordered Ethiopia to end its occupation, dismantle its illegal settlements and withdraw its troops to Ethiopian territory. Ethiopia rejected the ruling and continued its occupation of the disputed territory. Ever since then, the two states have existed in a state of “no war, no peace”. But as Ludger Schadomsky, the head of DW’s Amharic Service, observes, Abiy’s reforms have not been welcomed in all corridors of power. In particular, “he has alienated powerful people in the security and military establishment who view his recent peace initiative vis-a-vis Eritrea with great scepticism”. Indeed, PM Abiy’s peace overture is eliciting strong resistance from the Tigrayan People’s Liberation Front (TPLF), a political party which forms part of the ruling EPRDF four-party coalition, and which has dominated government for decades. 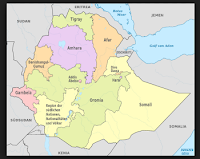 The move is also opposed by Ethiopian veterans of the war and other Tigrayan settlers living in Badme as well as ethnic Tigrayans living in Tigray province, along the Eritrean border. It goes without saying though, that peace with Eritrea would radically transform the security situation in the Horn of Africa. Indeed, the implications of peace between Ethiopia and Eritrea are absolutely enormous. And as Al-Jazeera notes, the ball is now in Eritrea’s court. Eritrea is one of the world’s most repressive states and its president, Isaias Afwerki, is one of the world’s cruellest dictators. Eritrea is also one of the world’s most severe persecutors of Christians, in particular Protestant Christians, thousands of whom have suffered appalling abuse and inhumane mistreatment, including torture, in Eritrea’s prisons and desert camps. The state generates thousands of refugees per month, many of whom are Christian [RLPB 235 (6 Nov 2013)]. All secondary school students must complete their compulsory military service in order to graduate. Yet while in military service, these teenagers are abused and mistreated, their Bibles are confiscated, and unrepentant believers (in particular Protestants) are beaten and tortured. Of those who have fled, thousands have become stranded in camps in Sudan or Libya, while others have fallen prey to human traffickers who sell them to terrorists who then hold them in bunkers in the Sinai desert where they are tortured for ransom [RLPB 205 (10 April 2013)]. Survivor: Eritrean Christian refugee, Philemon, tortured in the Sinai desert. "God brought me out of the deepest darkness . . ."
Critically, Eritrea's President Isaias Afwerki legitimises his repression and the cruelty on the pretext that the war with Ethiopia never really ended, and as such, Eritrea must remain on a permanent war footing and in a permanent state of emergency. Unsurprisingly, Afwerki – who has been Eritrea’s president since independence (1993) – is not rushing to embrace PM Abiy’s peace overture. The analysts at the ERI platform agree, suggesting that PM Abiy’s move could “pull the rug from under Isaias’ feet”. “Removing this state of no peace, no war denies him [Afwerki] the pretext of national security and puts Isaias in a dilemma – either way, it could be the beginning of the end of the unravelling of his dictatorship. The fact that he is unable or unwilling to respond in kind is likely a reflection of that concern. . . It took Afwerki two weeks to respond to Abiy’s offer and to confirm that Eritrea will send officials to Addis Ababa to “gauge current developments directly and in depth”. On Wednesday 20 June, Stratfor Global Intelligence reported: “Dynamics in East Africa have the potential to change dramatically in the near future. After weeks of silence, Eritrea’s reclusive president, Isaias Afwerki, finally weighed in on June 5 reports that Ethiopia could give disputed territory to its longtime enemy. During Eritrea’s Martyrs Day, Afwerki stated that the recent events in Ethiopia warranted attention and that his country would send a delegation to Addis Ababa, Ethiopia’s capital, to discuss potential cooperation. “While seemingly insignificant on the surface, the move from Afwerki is likely borne of desperation. The president has justified his decades long grip on power by claiming that Ethiopia wanted to wipe his Red Sea country off the map. Indeed, Eritrea’s political and economic systems have largely revolved around the need to maintain a huge military apparatus that is capable of going toe-to-toe with Ethiopia. However, Afwerki slowly transformed that system into one that perpetuates his rule, and he has used illicit activities to buy support from military elites. victims in hospital, 24 June. 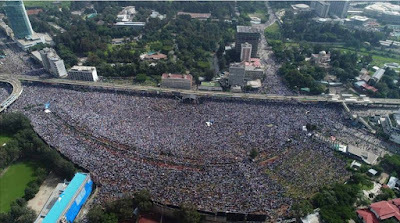 Biting Back: PM Abiy’s radical reforms and the resistance they are eliciting, provide the context for the 23 June grenade attack in Meskel Square, Addis Ababa. Thirty people have since been arrested over the attack along with nine policemen accused of gross negligence. 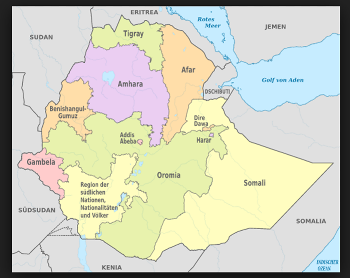 Reasserting Control: Further to this, on 24 April, World Watch Monitor reported that, “Ethiopia’s northern Tigray State is considering adopting a new law that would restrict Christian activities to within official [Ethiopian Orthodox] church compounds. . .
PM Abiy's radical reforms -- especially his peace overture with Eritrea -- are infuriating Tigrayans, (especially those in the TPLF) and threatening powerful people who profit from the status quo. In this context, it is highly likely that this move by the governing authorities in Tigray and Amhara regions is not religious policy so much as it is reactionary politics. It would be interesting to know what the Ethiopian Orthodox Church's position is on such an unconstitutional law (see Article 11), one that in some ways mimics Eritrean policy. It is a move the central government will surely challenge, hopefully before too many Ethiopian Protestants are negatively impacted.